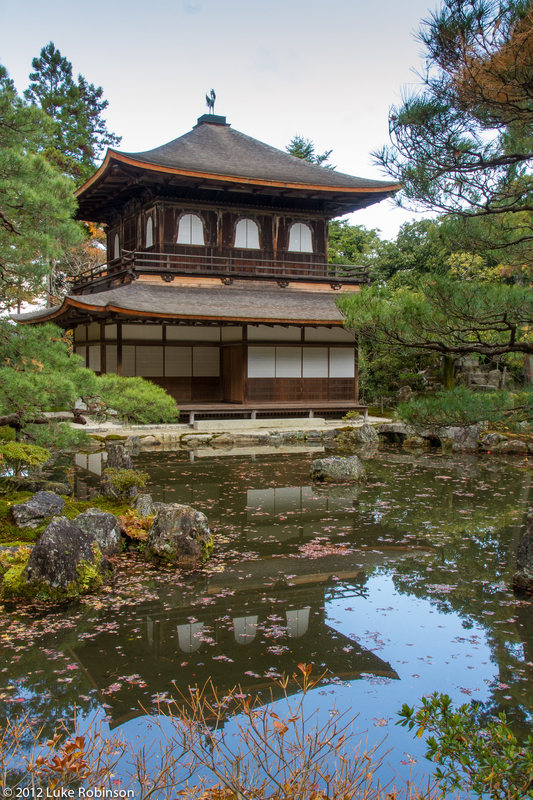 This post is a photo tour of the beautiful sights of Kyoto, with its many temples, shrines and stunning gardens, as well as the remote mountain town of Takayama and its surrounding traditional villages. 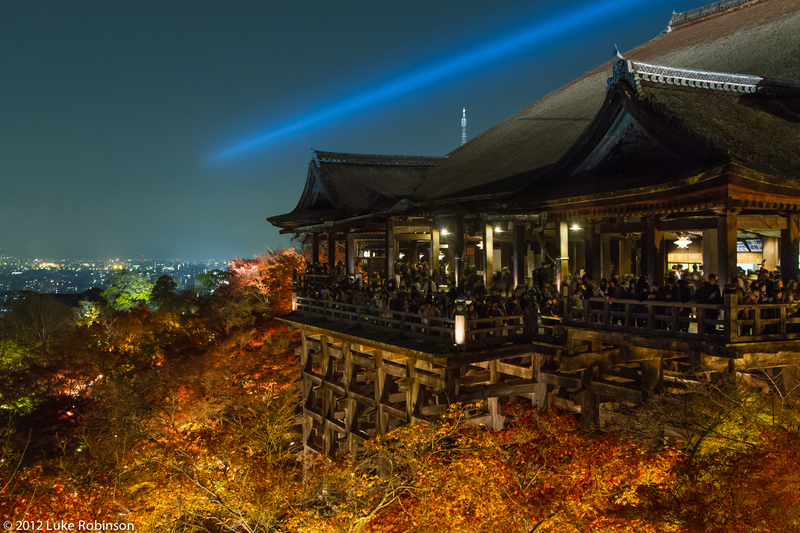 Kyoto is one of the most famous cities in Japan, the former Imperial capital justly famed for its numerous cultural landmarks, the city which gave the world the geisha and set the standard for Japanese haute cuisine. Though it is a major tourist magnet now, both for foreign and domestic visitors, parts of Kyoto retain their charm. The city’s reputation for refinement survives despite now being part of one continuous conurbation with Kobe and Osaka, the latter a decidedly more blue-collar town. 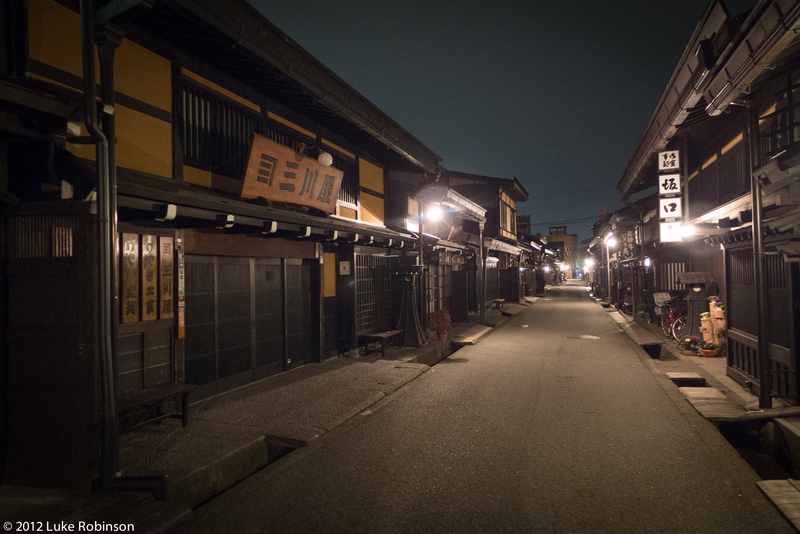 The flipside of this is that as an independent traveller, Kyoto is also an occasionally frustrating city once you set about actually trying to explore it. If you don’t find yourself near one of the few subway lines, you rely on buses and taxis to get around, or bicycles if you are brave enough. Once you get to any of the major sights, you will find it completely swarmed with Japanese and other tourists. And, sadly, perhaps as a consequence of the tourist overload and the refined reputation, it is harder there to just walk into a restaurant or bar and get a warm welcome, if indeed you are let in at all. Still, this is one case where advanced research paid off and we were able to enjoy some great food whilst we were there, and did manage a friendly drink or two. And of course there is the scenery…. Moving on from the Kiyomizu-dera we walked through the old-town pedestrianised hillside streets of southern Higashimiya, past a number of temples, to the Chion-in and its gardens, the famous Yasaka Shrine with its central dance hall lit by rows of (sponsored) lanterns every night, and ending up in the Gion district, home of the famous Geisha. 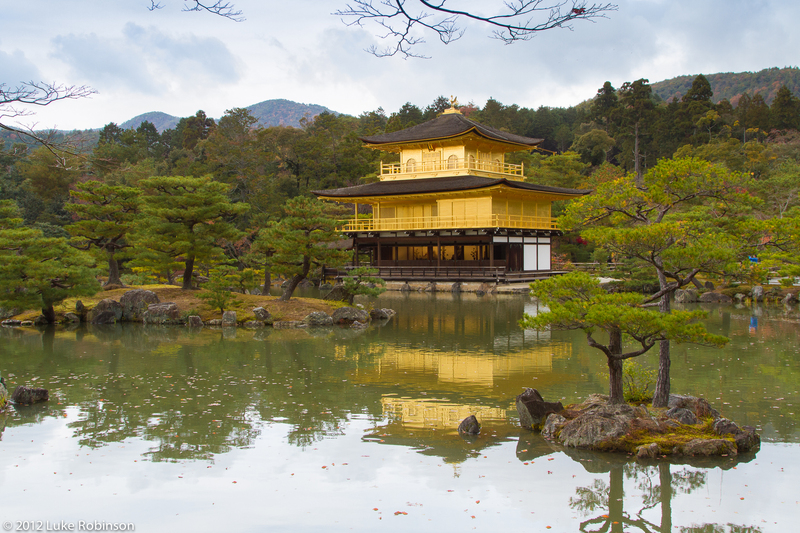 The next morning, we gingerly approached the Golden Pavilion, knowing it was one of the other “must-see” sights of Kyoto, and I remembered the last time I was here having to elbow my way past hordes of school groups to see anything. 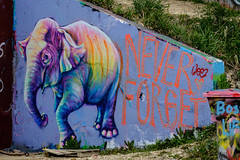 Mercifully, we happened to hit during a relatively quiet period, and were able to enjoy the temple grounds a bit more. 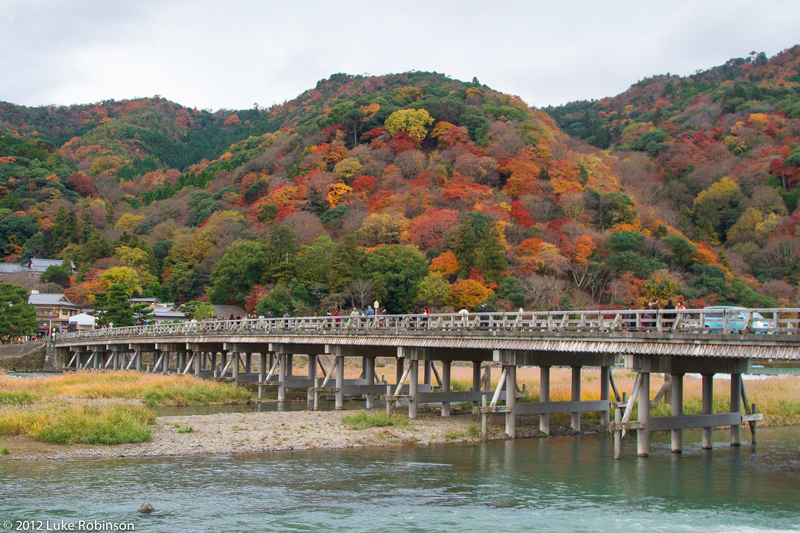 We decided to have a walk through Northeast Kyoto after that, and ambled our way across to the Imamiya Shrine and finally to the Koto-In Temple, the latter experiencing a fantastic display of autumn colours in a serene setting. The next day we struck out early for the Philosopher Path in eastern Kyoto, with the Silver Pavilion at the northern end, and a sedate amble along the canal path heading south to visit the small Honen-in temple and then to the larger complex of the Eikando temple, which boasted stunning autumn colours. 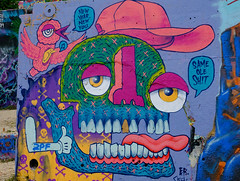 Sense a theme here? We had to run off after sampling the morning’s temple visits, because we had a lunch date with one of Kyoto’s finest kaiseki ryori / haute cuisine restaurants, Roan Kikunoi. This was a stunning foodie experience, down to personalised printed menus walking you through the many exquisite courses (more on this in a later post). 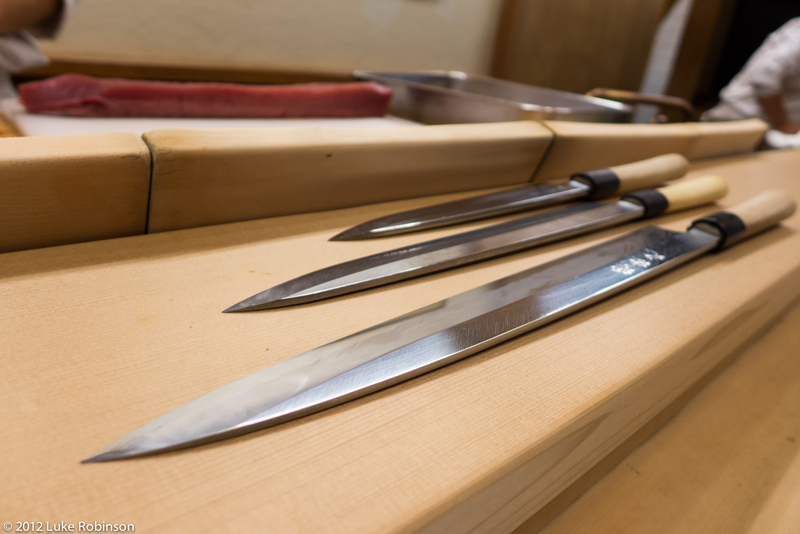 One of the things we were fascinated with, sitting at the bar, was the deft knifework of the various chefs, especially when slicing sashimi or trimming fillets. I asked about the knives they used, and the head chef laid out the three knives below. It turns out they all started off the same length, but that the lengths they are now are a result of five-year increments of multiple sharpenings per day. Amazing. 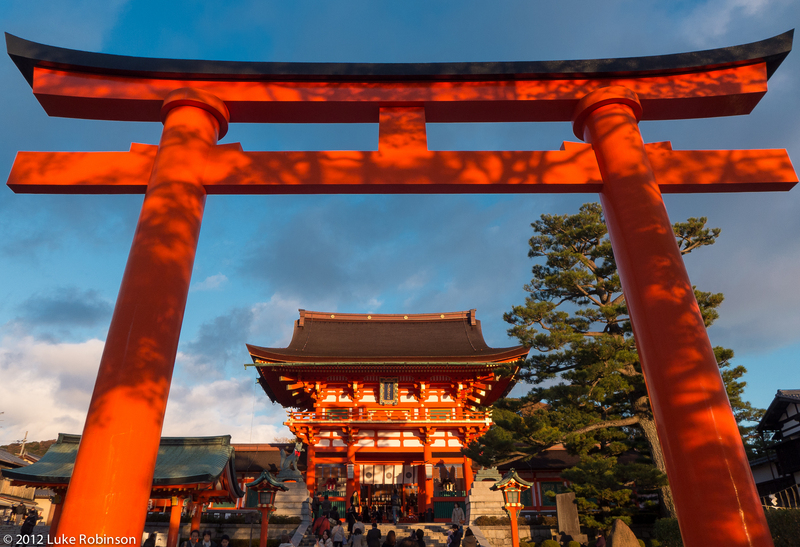 The last major religious sight we would visit in Kyoto is one I missed on my last visit – the Fushimi Inari Shrine, with its famous ranks of thousands of red torii gates flanking paths snaking up the hillside, leading to miniature shrines with offerings and fox kami statues aplenty. There were also various Shinto ceremonies going on as we made our way around the grounds, jarring in a way as so many of the temples and shrines we visited seemed to be almost deconsecrated, odes to the past, and here was one that was still very much active. From Kyoto we made our way North up into the Japan Alps, to the sleepy mountain town of Takayama. Famous for its preserved old town with its wooden buildings, Takayama is altogether more accessible than Kyoto was, though as we got there in the late afternoon and didn’t clock onto the fact that all of the tourist-oriented shops and restaurants in the old town area shut down precisely at 5pm, we wandered about for a while in the twilight increasingly worried that we had made a mistake and that Takayama was in fact not open for business. Thankfully a bit of research prior to the trip meant we ended up in a friendly (and, more importantly, open) izakaya where we sat around low tables, grilled our own Hida beef over a charcoal brazier, and were regaled with local drinking songs by the increasingly-inebriated neighbouring table. In fact we found Takayama locals to be by far the most welcoming and gregarious the Japanese we encountered on our trip, and we ended up exchanging rounds of drinks and plates of food and getting riotously drunk. 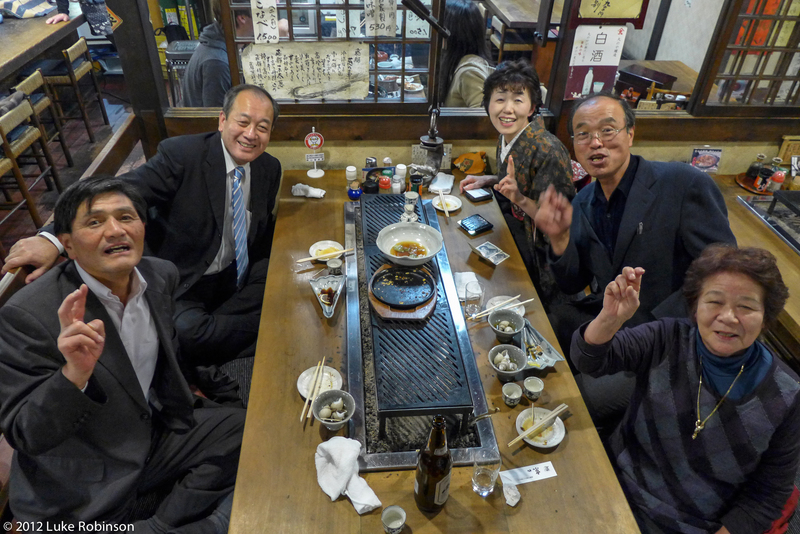 So drunk that, defying all reason, we walked into an otherwise anonymous-looking door because we heard karaoke coming out of it, and ended up spending the evening in the company of the elderly mama-san and a couple of other old coots who had nothing better to do on a Monday night…. Takayama is also a handy jumping-off point to tour various preserved farm villages in the nearby valleys. 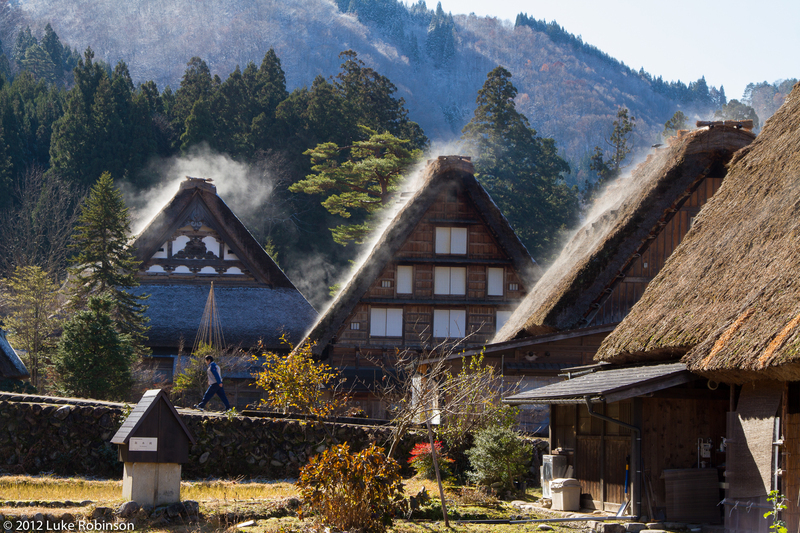 We visited one called Ogimachi in Shirakawa-go, where a number of historic gassho-zukuri thatch-roof farmhouses sat nestled in the valley, and, as the early-morning sun began to melt the snow off the roofs, the steam rising off of them made for quite a sight. Well that’s about it from Japan, barring a food-related post I have been mulling. The next stop will be the final set of photos of this trip, from a brief but very enjoyable stopover in Hong Kong. Considering we got home over two months, it’s about time!